Update: President Barack Obama signed the Frank R. Lautenberg Chemical Safety for the 21st Century Act into law on June 22, 2016. President Barack Obama signed legislation on June 22 that will overhaul how the U.S. government regulates toxic chemicals, possibly moving the United States a step closer to banning asbestos. Earlier this month, Congress passed the Frank R. Lautenberg Chemical Safety for the 21st Century Act, which amends the Toxic Substances Control Act (TSCA) of 1979. The bill will give the U.S. Environmental Protection Agency (EPA) greater power to better review chemicals for safety and restrict their use. One of the reasons asbestos is not banned in the U.S. is because the current law requires the EPA to find the “least burdensome” way for the industry to control asbestos — an unsurmountable task for the regulatory agency given its current restrictions. The new law eliminates that provision. However, Reinstein warns that it may still take seven years for the EPA to assess, regulate and ban the deadly mineral. “An estimated 100,000 Americans will lose their lives to asbestos-related diseases during that 7-year timeline and countless more could be needlessly exposed to asbestos,” she said. Asbestos exposure is the leading cause of mesothelioma, an aggressive cancer diagnosed in an estimated 3,000 people in the U.S. annually. Breathing the toxic mineral also causes lung cancer and other respiratory illnesses. The ADAO calls for quick action on the asbestos crisis. The recently passed bill is named after the late Sen. Frank Lautenberg, a public-health advocate who banned smoking on all domestic airline flights in 1989. Evaluate new and existing chemicals using a new risk-based safety standard that includes vulnerable populations such as children and pregnant women. Impose clear and enforceable deadlines on chemical manufacturers. Impose more rigorous public disclosure and transparency on chemical manufacturers. Receive additional funding to carry out its new responsibilities. The U.S. House of Representatives approved the bill in 2015. Canadian Prime Minister Justin Trudeau in May also committed to bring Canada closer to banning asbestos. While the White House and top Democrats supported the bill, other high-ranking Democrats felt the bipartisan text may limit states that already act more progressively against toxic substances. California, Massachusetts, New Jersey and Vermont already regulate chemicals aggressively. House Minority Leader Nancy Pelosi, D-Calif., House Democratic Whip Steny Hoyer of Maryland and U.S. Rep. Frank Pallone of New Jersey, the senior Democrat on the House Energy and Commerce Committee, all fought for the bill to include language enabling states to maintain their current chemical legislation if it’s more stringent than the new federal guidelines. The legislation includes a proposal grandfathering state laws in place before April 22 to trump federal law. Meanwhile, development of new state regulations would be allowed in tandem with development of federal rules. States with limited chemical regulation would follow the new federal standard. For the ADAO, the legislation opens the way for immediate action. “We can’t afford to wait another year, another month, another day,” Reinstein said. Asbestos Disease Awareness Organization. (2016, June 7). ADAO President Issues Statement on the Frank R. Lautenberg Chemical Safety Act. Associated Press. (2016, May 23). 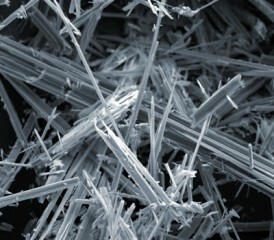 White House backs bill to overhaul asbestos legislation. Congress.gov. (2016). All Bill Information (Except Text) for S.697 - Frank R. Lautenberg Chemical Safety for the 21st Century Act.